Here at UK Electrical Supplies we understand that light fittings should be versatile. That’s why we carry a wide variety of under pelmet lights. 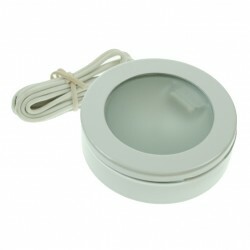 These products are a great way to illuminate the areas beneath your kitchen and bathroom cabinets. Our selection of undercabinet lights includes LED, halogen and fluorescent bulbs in attractive finishes like polished chrome, satin chrome and white. Whether you’re looking for modern, triangular fittings or standard strip lights, you’ll find them here. But that’s not all. This is also the place to find link leads, link cables and power supply cables. Don’t put it off any longer. Browse our range today.